We have a lot of senior/elderly patients who have been with us for a very long time. In some cases we are onto the fourth family generation. As such we have a lot of experience in looking after these patients and in the types of treatment they require and problems they present with. 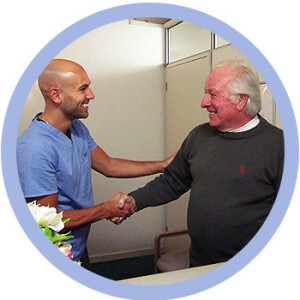 We are very proud of our varied patient base and to have such great relationships for so many years. There are a number of challenges that come with ageing: teeth discolour and crack; they may become loose; big fillings get lost; teeth wear and gaps from extracted teeth can be problematic in chewing and with other teeth shuffling around to compensate. We are well equipped to look after these types of situations. We do a lot of denture work and offer all the different types available today. As technology has improved, implants have become a great fixed alternative – if, of course, there is enough bone available and patients are happy with the process and the cost. Whatever your age, you are welcome to come see us here in Maroubra and we will show you the kindness, respect and attention you deserve.